On a lazy Saturday morning, the kids have cartoons (really loud skater-punk turtles who munch pizza and fight crime.) I have Etsy. If you don’t already know and love this crafty/vintage website, it’s just the sweetest little oasis of homespun commerce. And you can find anything. I mean, seriously, ANYTHING. 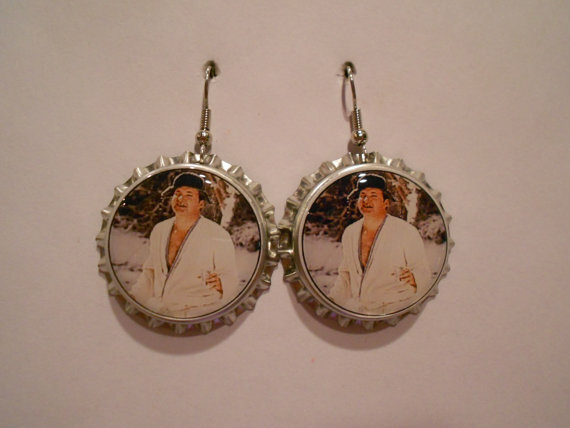 I’ve sent off for everything from lovingly home-stitched Easter dresses to, well…Cousin Eddie earrings lovingly crafted from bottle caps. These beauties are – SOMEHOW – still available! Check out the Goldylyon Shop on Etsy. So for Day 18 of my 31 Days of Fun/Funny/Funtastic Stuff for Families, I have curated a fall fabulous list of Halloween Not-Necessarily-Must-Haves for the Home — straight from the Etsy files. You will love deeply, occasionally laugh loudly, and quite possibly drain your PayPal account. Okay, for those who hate yielding machetes and scooping pumpkin guts every October, I say slap a mustache on your gourd and call it a DAY. 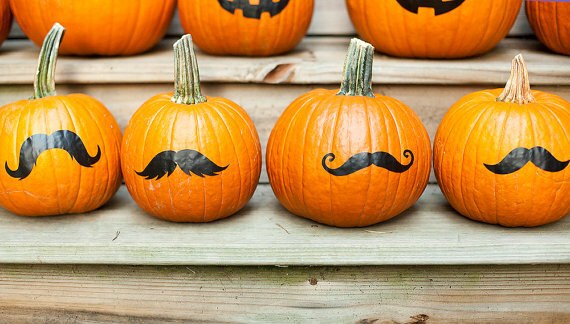 Handlebar facial hair is what all the cool pumpkins are wearing this fall. Just $5 for this handsome mustachioed set of 4 decals. These are coming to you straight from SaraLukeCreations in Spring Arbor, MI. 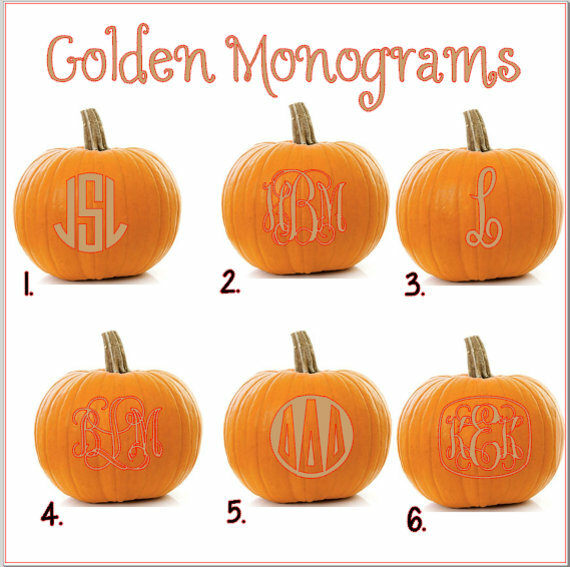 These lovely golden ‘gram decals are $4 each from the well-heeled “Monogram Collection” Etsy shop out of (gasp!) Chicago, IL. Um, duh, the pumpkin is NOT included. 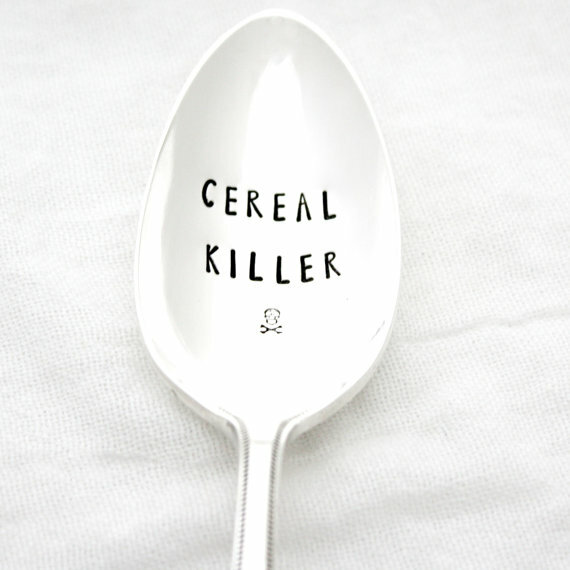 This spoon makes the perfect companion for your child’s morning CountChocula. 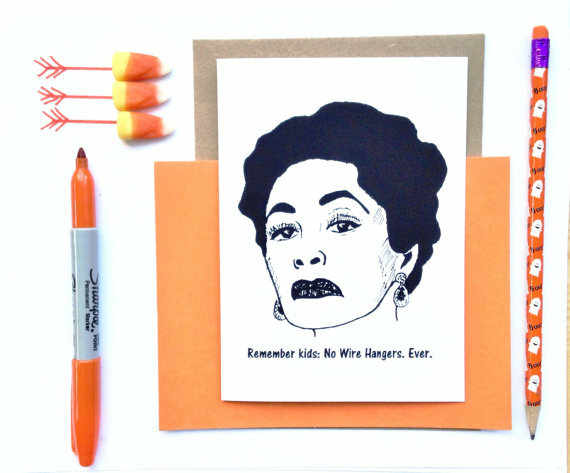 Nothing is scarier – or makes you feel better about your parenting — than Mommie Dearest. Now she’s scary. Share freaky greetings with your kids with this hand-made Joan Crawford card for $4 from DebbieDrawsFunny in Cleveland, OH. If Mommie’s not scary enough, check out the cards with Hall & Oates or the Stay-Puff Marshmallow Man. 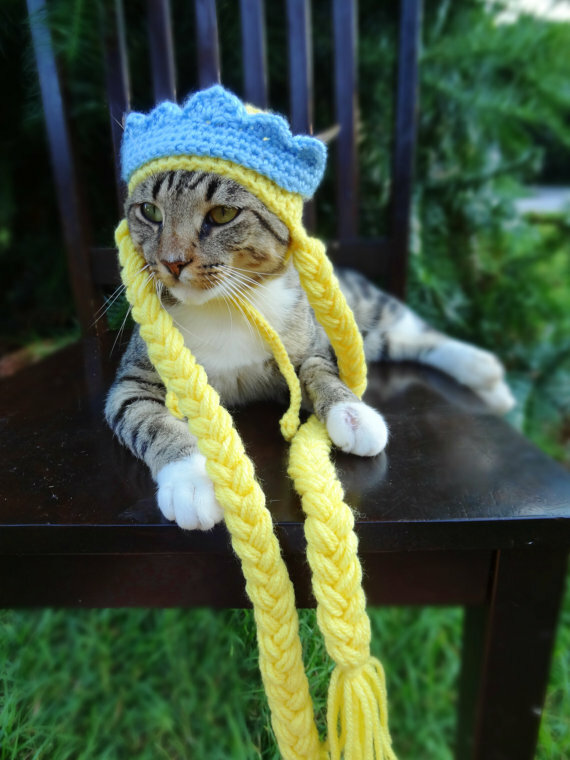 This hand-crocheted Rapunzel hat FOR YOUR CAT is $30 from the IHeartNeedlework shop in Florence, SC. Be sure not to miss the ridiculous pilgrim hats and Frankenstein foreheads. FOR ANIMALS. Now let us bring our journey full-circle, beginning and ending this spooky trail of stupidity with bottle caps. 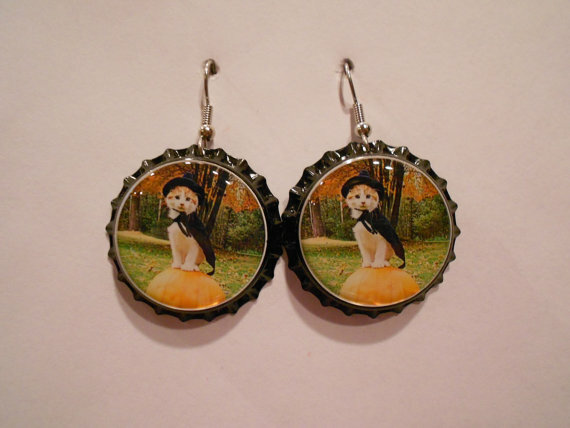 Bottle-cap earrings scream “class” in every season. Just $5.99. Etsy is a world of weird and wonderful wonders that begs to be explored. It takes a whole lot less energy than a stupid corn maze. And you can busily burn through your stash of Twix trick-or-treat bars at the same time. Now that’s good holiday fun.